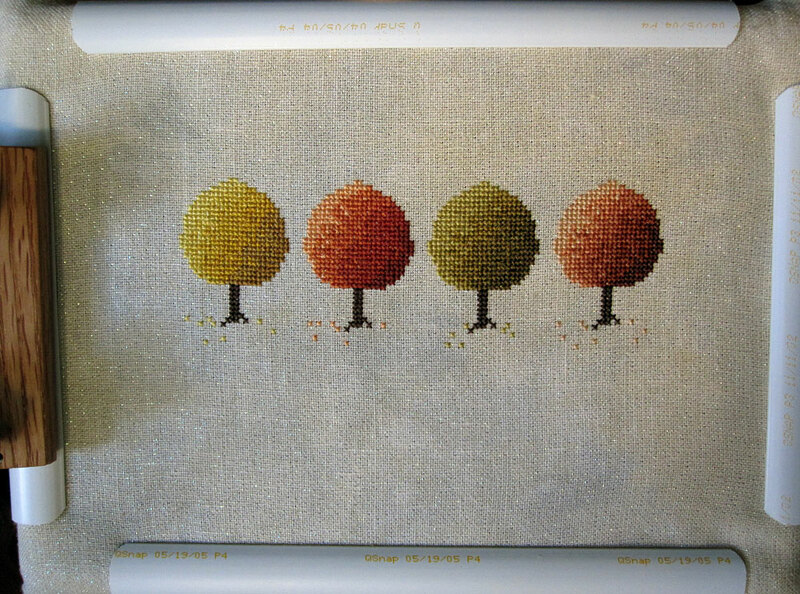 Lara's Loose Threads: Fall trees finished! I finished Fall Trees last night! I'm going to do a little work on the remaining parts of Catherine of Aragon's skirt and then some more on Halloween Fairy. Of course, this plan will probably fly out the window when the Just Cross Stitch Halloween issue gets here. Can you tell I have a BIG weakness for Halloween and Fall designs? Hi, I just found your blog and I love it. I'm a fellow stitcher and what caught my eye was this piece. I even tried to get the pattern on Ebay (lost it though bummer..hehe). Keep up the great work, it inspires me to work more on my needlework when I see other's finishes. Thanks fullnovembermoon! And hopefully I'll have more posts for you to read soon... I've been so busy that I haven't been stitching much, so I haven't had much to post about.